Ronald E. Moser, M.D., is a General and Orange County Cosmetic Surgeon specializing in cosmetic surgery of the body and laser skin resurfacing and tightening of the face. 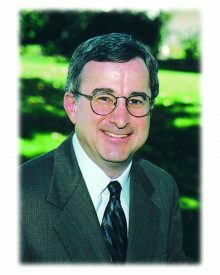 A native of Southern California, Dr. Moser received his medical degree from Chicago Medical School. He did his post-graduate General Surgery Residency training at The University of California, Irvine, College of Medicine. This was followed by an intensive three year cosmetic surgery fellowship at The Southern California Associated Plastic Surgeons Medical Group in Anaheim, California. Dr. Moser practices primarily in the area of general cosmetic surgery of the body, specializing in liposuction and breast enhancement and has participated in over 4,000 breast surgeries and 12,000 liposuction procedures. He performs laser skin resurfacing and tightening of the face using the Ultrapulse CO2 Aesthetic Laser. Dr. Moser was trained in this specialty by the co-developer of laser skin resurfacing and is able to offer his patients the absolute latest techniques, ensuring the best results for this new procedure. Laser skin resurfacing can be combined with other cosmetic surgery procedures of the face and body in order to minimize costs and postoperative healing time. Dr. Moser is a Fellow of The American Academy of Cosmetic Surgery and The American Society of Cosmetic Breast Surgery. Dr. Moser is a diplomate of the American Board of Cosmetic Surgery. Medical Skin Spa Services including Botox, Fillers and the latest facial lasers. Fat Melting using Trusculpt Radiofrequency technology. After years of being perceived as something only for the rich and famous, cosmetic surgery is now priced for everyone. People from all income brackets are undergoing surgery. In fact, half of the patients who undergo cosmetic surgery make less than $25,000 a year. Breakthroughs in medicine and outpatient surgery have brought the price of cosmetic surgery down considerably over the years, while the quality has gone up.